When a tenant failed to pay any rent after the first month his tenancy last year, the landlord did not expect this to lead to lengthy court proceedings to obtain possession of the property and a judgment for £20,972 inclusive of costs against the tenant. When it materialised that the letting agent had told the landlord that the tenant’s ID had been checked prior to the tenancy starting, when actually the tenant’s previous landlord had only provided a copy of the tenant’s passport to the letting agent five days after the tenancy had commenced, revealing that the tenant’s real name and date of birth was different to that given by the tenant on his application, it was clear that the agent had not followed basic and fundamental referencing requirement. Had the agent told the landlord that the ID had not been checked, it is highly likely that the landlord would not have let the property to this tenant, especially as it transpired that the previous landlord had also obtained a court judgment against the tenant for £12,500 for unpaid rent, and that this had yet to be paid. Given that the landlord would not have been in the position that he was in had the agent complied with their tenant referencing obligations, the landlord issued a worthwhile complaint to The Property Ombudsman (TPO) which was upheld by the ombudsman, who ordered the letting agency to pay £21,972 – for financial loss and compensation for significant aggravation - acting as a costly reminder that all necessary steps must be taken in order to find suitable tenants in accordance with the law. “Over and above legal compliance with right to rent requirements, referencing is critical with the loss of rent, or bad debt, potentially crippling to an investor’s return," said Dominic Martin (left), operations director at Atlas Residential. 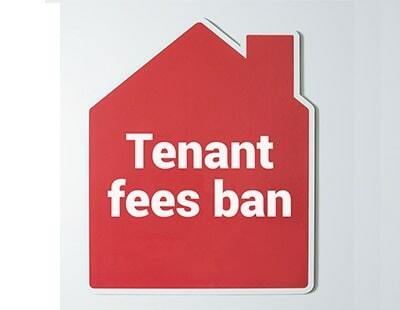 Tenant referencing has once again been a topic of hot debate in recent weeks, following the Queen’s Speech in June, which included the proposal to ban letting agent fees in England- not a surprise, given that the recommendation to ban tenants’ fees appeared in all main parties’ general election manifestos. David Hadden, head of Endsleigh Let, is among those who fear that changes to letting agent fees could lead to increased rent arrears and higher repossessions as a consequence of a potential reduction in the quality of tenant referencing in the private rented sector. “Our letting customers have told us how concerned they are about these changes and what it means for the private rental sector,” said Hadden. For those agents who believe that the cost of tenant referencing should fall on the landlord, once the tenant fee ban is introduced, but fear that lumping additional costs on to landlords could be a high risk strategy, as it they may view this as a catalyst to move their business elsewhere, must reassure their clients that tenant referencing is money well spent, according to Kate Faulkner (below), managing director Propertychecklists.co.uk. She advises agents to remind their landlord clients that a high quality, detailed reference is crucial to ensure that tenants placed in their properties have been thoroughly checked and have been recommended as reliable and acceptable for the rental value. “Letting agents can play a vital role in both educating and reassuring landlords by demonstrating a thorough approach to referencing and reinforcing the message that prevention is better than cure,” said Faulkner. But while the debate over who should have to pay the fees will undoubtedly continue for some time to come, it is important that agents continue to carry out a series of vigorous checks on prospective tenants before they let the property, as this is standard best practice which safeguards the landlord’s business. 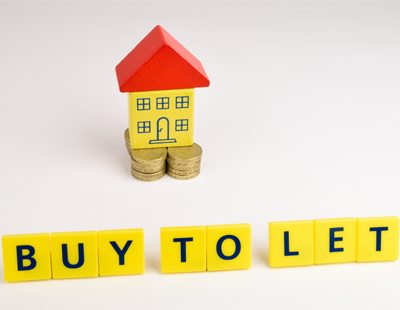 “Tenant referencing is fundamental for letting agents as part of their service to their landlord and tenant customers,” said Andy Halstead, chief executive of Let Alliance. Tenant referencing offers landlords clarity and essentially confidence that their property will be well looked after. It provides all the background information on prospective tenants, helping landlords and letting agents make an educated choice about who they are letting their properties to, what a tenant does for a living, a previous landlord recommendation, crucially their right to rent in the UK, and importantly - their financial position, including their ability to pay the rent on time each month. “Tenant referencing is important for landlords and tenants as it gives a good insight into the tenant’s financial and renting history,” said Ali Carter (left), letting negotiator at Russell Simpson. There are different levels of referencing available to letting agents and their landlord clients, from a very basic package to a more a comprehensive service, with the costs varying from less than £10 for the more basic reports, while a more wide-ranging package will cost about £25 per check. The level a landlord opts for will generally depend on the extent to which they want to minimise their exposure to risk. “Of course, even the most detailed referencing is not a guarantee, but having information on a person’s identity, their credit history, any possible county court judgements, employment references and their track record as a tenant from previous landlords, is a good place for landlords and letting agents to start, minimising the risk and filtering out possible ‘bad tenants,” said Adam Joseph, CEO, The Happy Tenant Company. 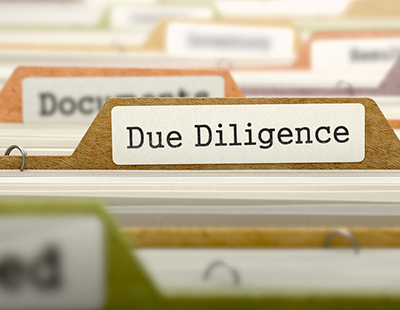 While some agents choose to undertake their own tenant references in-house, others prefer to appoint the services of an independent third party tenant referencing company to produce a detailed report. Marc von Grundherr (below) of Benham & Reeves Residential Lettings said: “Thorough tenant referencing is essential and it’s an issue we take very seriously. We use the services of an independent tenant referencing company to ensure all the necessary checks are done. He added: “Tenant referencing is essential in order to obtain an accurate picture of the tenant’s financial and employment situation and find out how they conducted themselves during their last tenancy. Although the landlord or agent does need to undertake references to establish that the applicant can demonstrate credit worthiness at the start of the tenancy, this cannot legislate for a potential change in the tenant’s circumstances during the tenancy, which in turn could impact on their ability to pay the rent. Fortunately, protection against rent arrears is available, with some firms, including Rent4sure, providing insurance for landlords in the event that their tenants fail to pay the rent owed. As one of the UK’s leading suppliers to the letting industry, Rent4sure provides a comprehensive range of services and specialist products, including credit checks, full references, company references, a ‘know your customer’ service, rent protection, legal expenses insurance, tenants liability insurance, and landlords insurance, all providing first class support to the letting industry through an online platform. The company, which works with more than 30,000 tenants a month, generates most of its business from tenant references, but it also offers a range of insurance products that appeal to buy-to-let landlords, including rent protection and legal expenses insurance. With cover costing from around £100 per year, rent guarantee insurance is inexpensive and tax deductible. Offering clients access to a professional tenant referencing service and rent guarantee not only adds another strand to a letting agency’s service, which in turn could appeal to more people looking to let their properties, but also reinforces that this is a reputable and reliable letting firm that landlords and tenants are dealing with. “We provide cover for a number of partner agents who offer this facility to their buy-to-let clients, in order enhance their service and strengthen their working relationships with landlords,” Burton added. As an agent, it is in your interest for a landlord to take out this type of insurance, not only to ensure that they receive their rent, but also to protect your own commission. Suzanne Diamond (below), head of letting at Humberts, insists that customer service has always been at the very heart of the Humberts brand, and that includes offering a thorough independent referencing service. “We also offer all of our landlords free legal protection insurance with passed references which means that should their tenant fail to pay the rent their legal costs are covered in arranging an eviction,” she said. Tenant referencing also potentially presents agents with an additional revenue stream, in the form of referral fees, as well as by charging a landlord or tenant an ‘administration fee’ for time undertaking references. 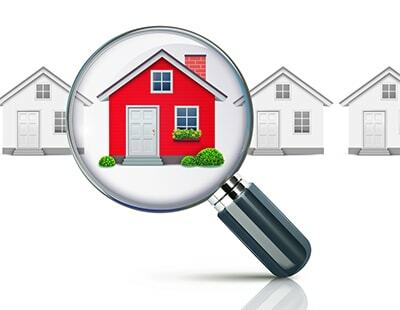 But ultimately a high quality, detailed reference, should ensure that landlords can rest assured that tenants placed in their properties have been thoroughly checked and have been recommended as reliable with the means to afford the rent, enabling the landlord to pay the mortgage and allowing you to invoice for your rental commission.